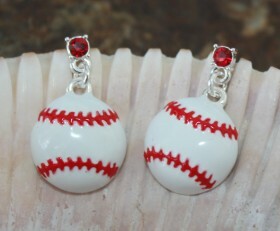 Adorable baseball charm earring hanging from red crystal posts. These will look perfect not matter who your favorite team is. 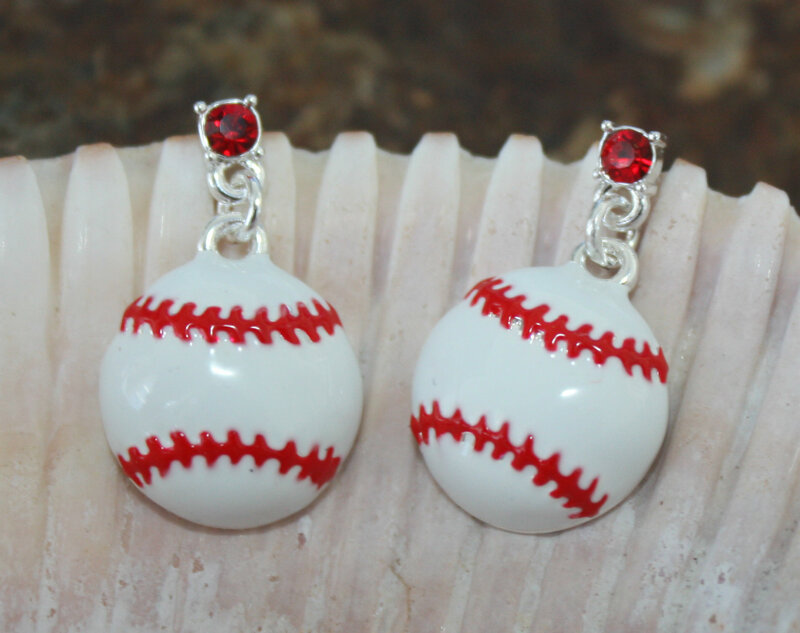 Categories: Baseball, Collegiate Jewelry, Shop, Sports.